These pharmacists are the experts in research and they aim to find cures for untreated illnesses or medications with fewer side effects for the better of patients. The play various roles from designing or implementing protocols to conducting trials, for studying or comparing effectiveness and safety of new medications before its launch into markets. These industrial based pharmacists ensure the manufacturing process of medications adhere to strict standards, like Good Manufacturing Practice (GMP), for quality assurance (QA) purposes. Through QA, they ensure that the final product contains the active ingredient(s) as intended, and at the correct amount or proportion. It is then that frontline prescribers and pharmacists have the assurance that the effect of the medication is consistent and safe for patients’ consumption. Also known as the “law enforcers”, they formulate and implement healthcare policies and regulations in Singapore. They assist in ensuring quality, safety, and cost-effective use of medications. Some are also involved in preparing new drug applications to enable timely access of safe, efficacious and high-quality medications. Another important role they play is the safeguarding of importing and registration of medications and medical devices. Combining pharmaceutical knowledge and communication skills to promote latest drugs to healthcare providers, Sales and Marketing pharmacists aim to introduce and educate their fellow healthcare providers about new treatment options to benefit the patients. They are an important channel of distribution from pharmaceutical companies to end-users. 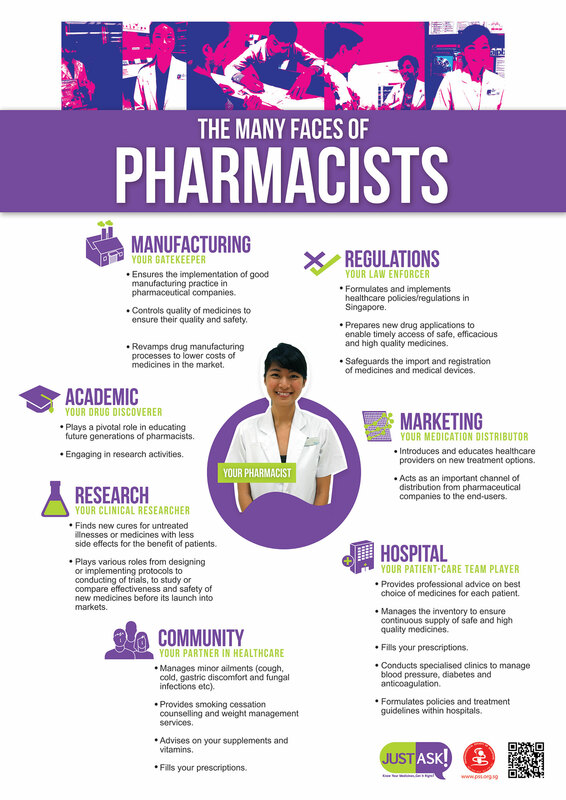 Hospital pharmacists are an integral part of the multi-disciplinary team consisting of doctors, nurses, and other allied health professionals, by rounding with doctors, writing policies governing medication use and championing safe and effective use of medications in the hospital setting. They provide valuable advice and drug information not only to the patients but to other healthcare providers as well. Hospital pharmacists often deliver nurses’ and doctors’ continuing education lectures. They manage the purchase, distribution and inventories of medicines for the whole hospital. Hospital pharmacists are experts in various specialised fields such as Psychiatry, Infectious Diseases, Cardiology, Geriatrics and Oncology. In the clinic setting, these pharmacists are your partners in chronic disease management, optimisation of medications in the anti-coagulation, heart failure and lipid clinic among many others. Community pharmacists are your friendly partners in healthcare. They are the health professionals most accessible to the public. In addition to ensuring an accurate supply of appropriate medications, they also provide counselling for patients and drug information to health professionals, patients as well as the general public. They are experts in Pharmacy-only and Over-The-Counter medications, including those for the management of minor ailments. Examples of minor ailments include cough and cold, fungal skin infections, gastritis and reflux, just to name a few. 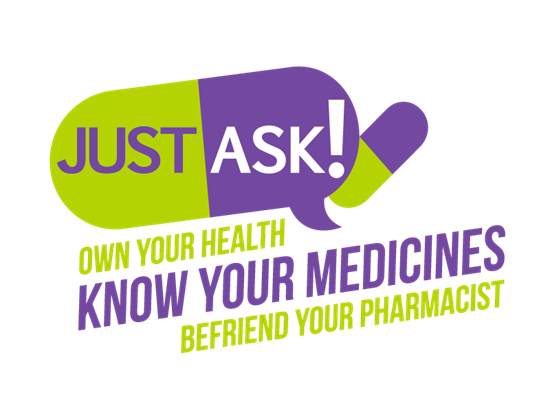 Community pharmacists are your best source of advice on health-related matters like weight management, vitamins and supplements. On top of that, they contribute actively in health-promotion programmes. They do all this over and above their duties of filling prescriptions by doctors!